Length: 1 hours. 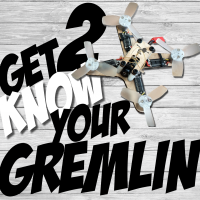 Lesson focused on the physics and component properties of the FT Gremlin Mini quadcopter. 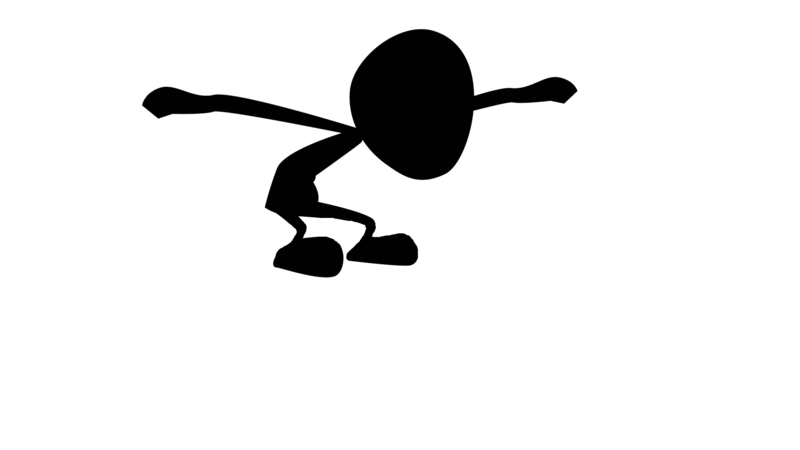 Understand the basic working components and physics behind the FT Gremlin. 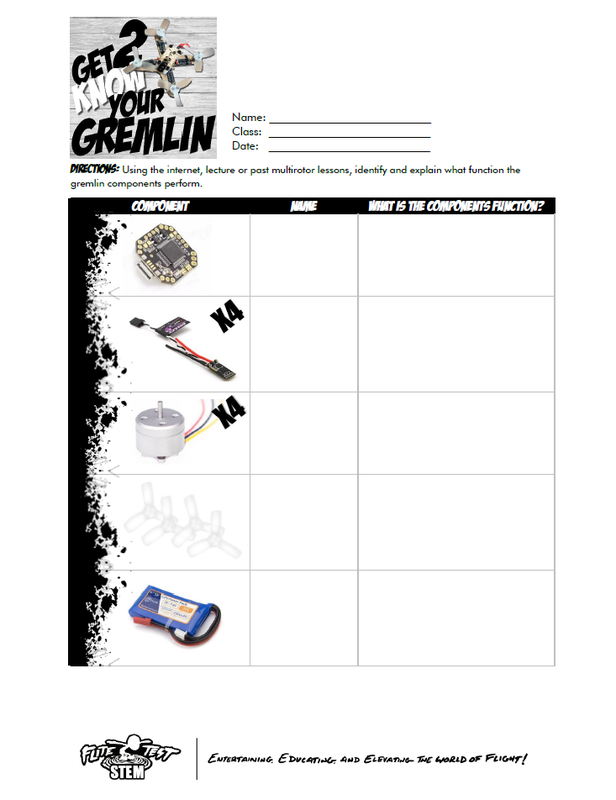 Completion of the "Understanding your FT Gremlin" worksheet. 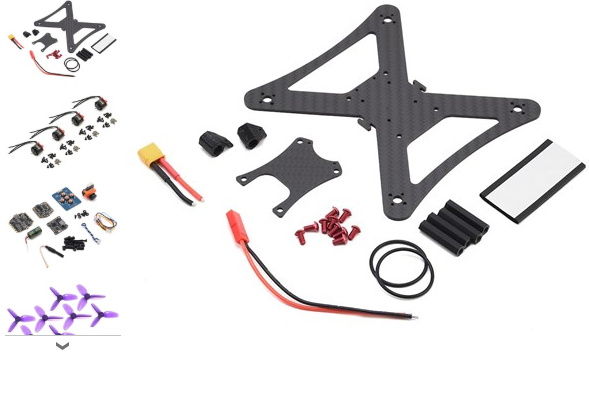 Prior to building, flying and engineering an FT Gremlin, it is important for the students to understand the different basic components and physics of the mini quadcopter. Students do not need the Power Pack to complete this lesson, however, seeing the components could make for visual connections. Each student should have the following worksheet, see attachment for download and printing. Students can work independently or in a group with a computer and internet to complete worksheet. 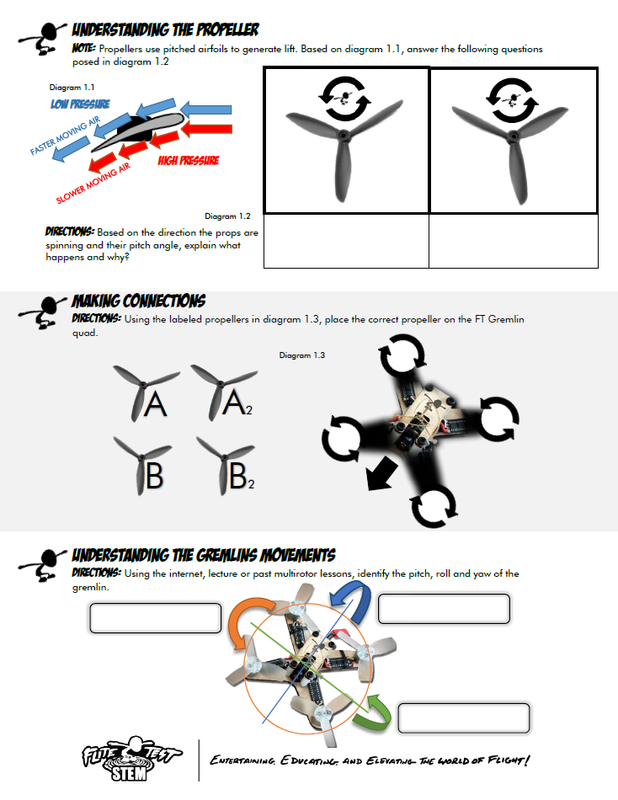 Hands on approach, students can use another quad to reference and guide their learning through the FT Gremlin unit. In the same approach taken to complete Step 1, guide the students through the understanding and completion of second half of the worksheet. Each student should have the following side of the worksheet, see attachment for download and printing. THIS LESSON IS COMPLETED! PLEASE MOVE TO LESSON "BUILDING YOUR GREMLIN"